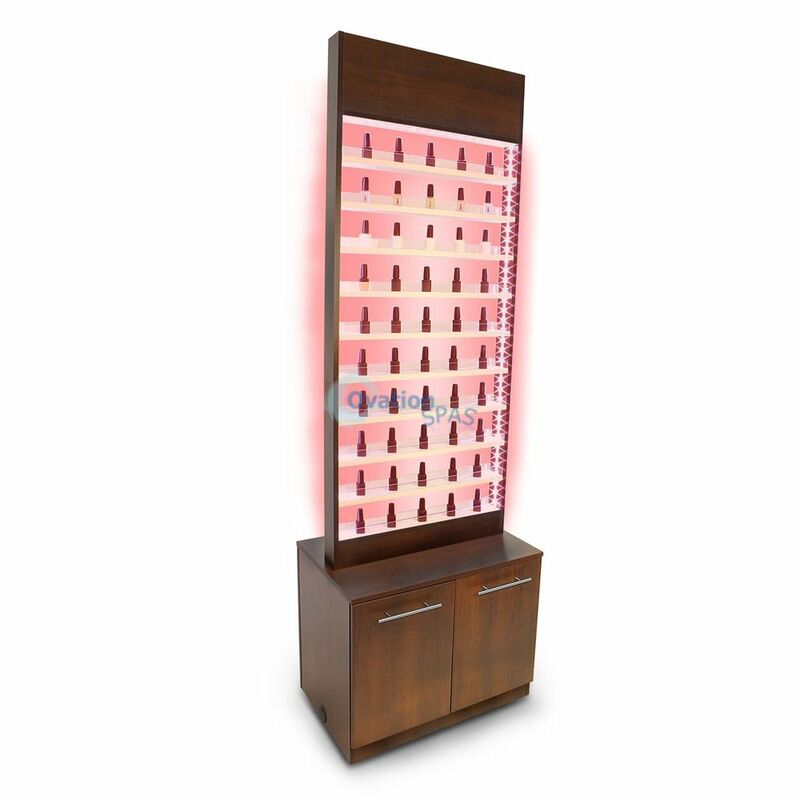 LED light comes from top, left and right edges that makes your nail polish bottles eye-catching. 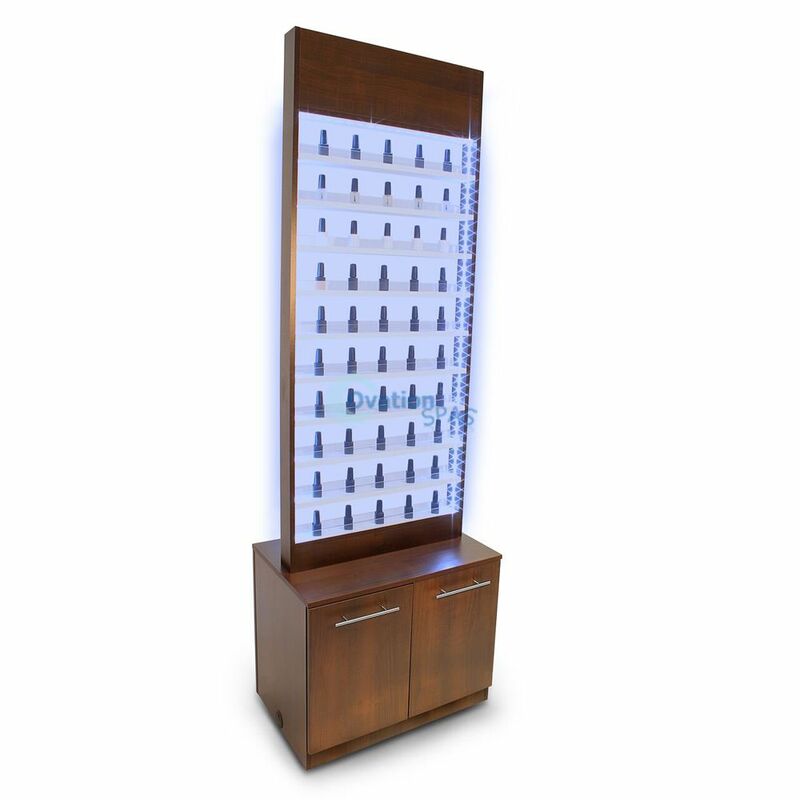 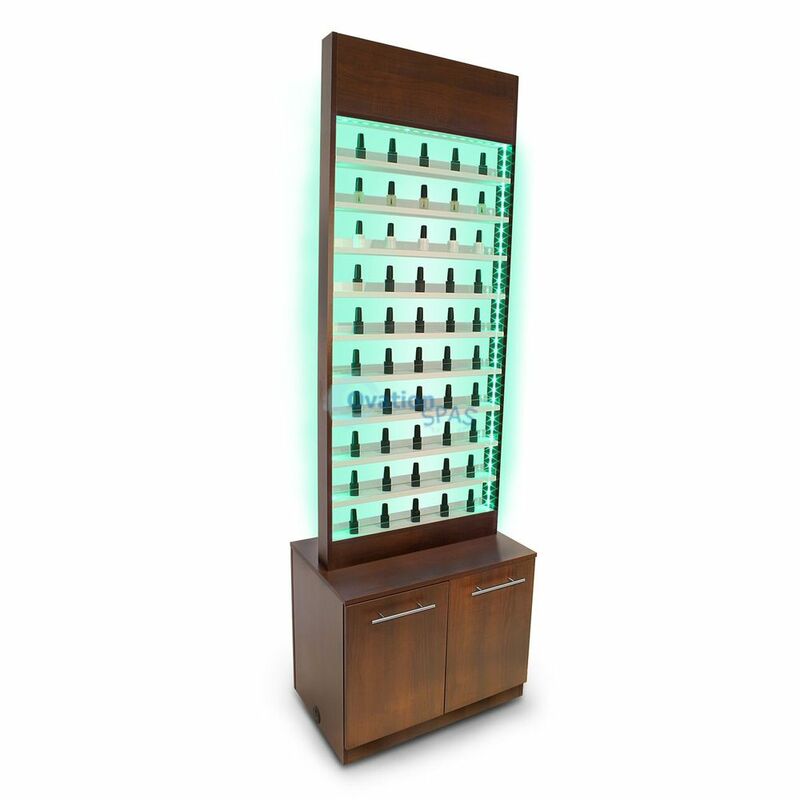 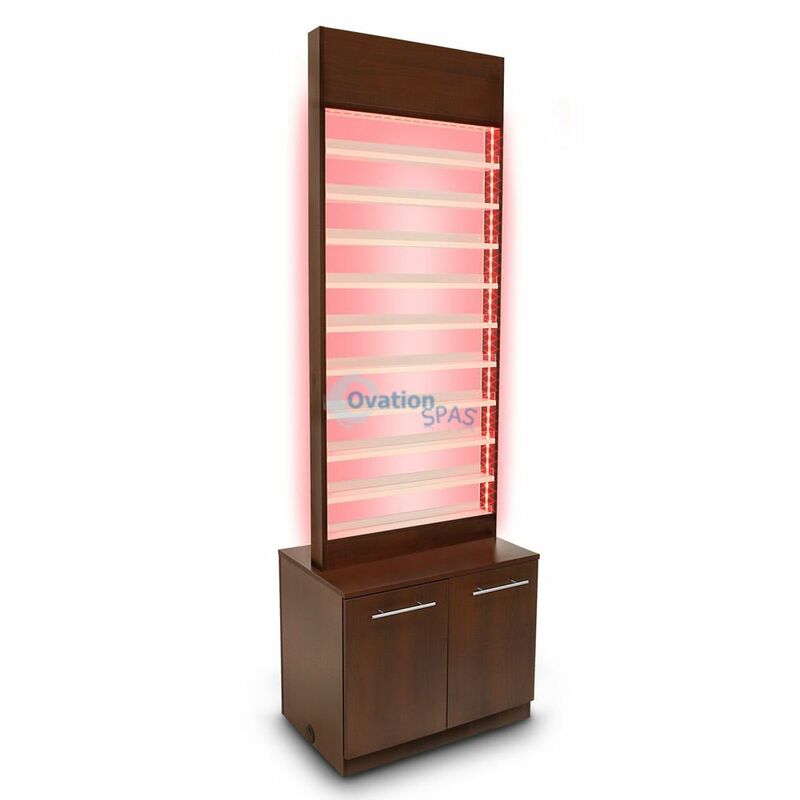 The display rack portion holds up to 200 standard size nail polish bottles. 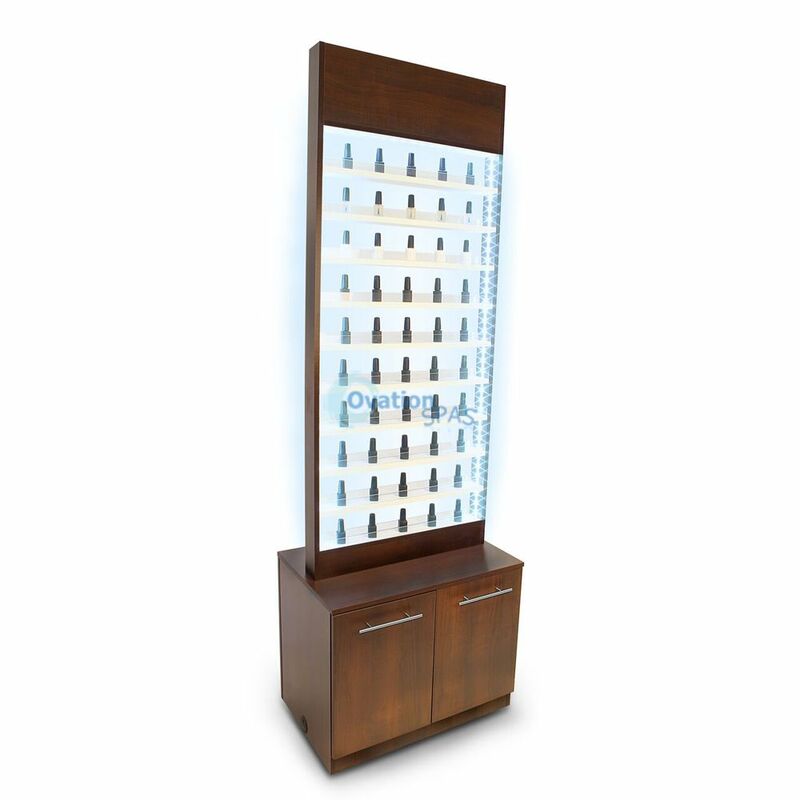 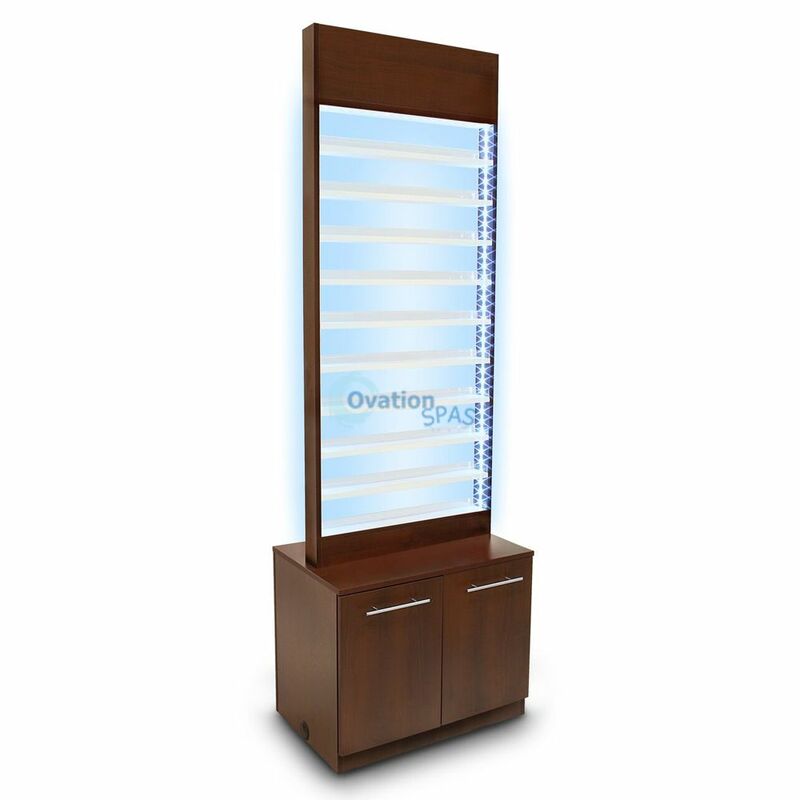 Truffle, Caramel Maple & Prestige Maple finishes are available for the Paris Nail Polish Rack With Cabinet. The Rack measures to 3″ Deep, 25″ Width, 65″ Height.